ConstructionRecruitment.net (this website) and explains the way we gather information and treatment to such here in Construction Recruitment. Acceptance of this privacy statement is very important. Should you disagree to some or all of its contents please feel free to send us an email with your questions or terminate your use of this free service. When you register with this site by completing your profile and uploading your CV, this information can be made available for searching, viewing over the Internet and downloading by any direct recruiter, employment consultant or other person or organisation who requests CVs matching your profile to be sent to them. Construction Recruitment does not verify the identity or the nature of the business of such organisations. We may also use your email address to send you newsletters to which you are subscribed during registration. You can remove any of the information that Construction Recruitment stores about you, at any time, by logging in to your Account and choosing to close the account. Construction Recruitment uses two types of cookies: persistent and session cookies. Session cookies are used to help make it easier for you to navigate this website, and expire when you exit out of your browser. Persistent cookies remain in your hard drive for a longer period of time, but are removable using the options on your browser. 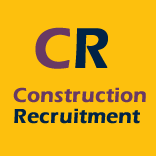 For questions or any other concerns, please Contact Us at info@ConstructionRecruitment.net . Our Customer Support will respond to you.